Pack containing 12 pin locks, pin savers with a small key to lock them in place. 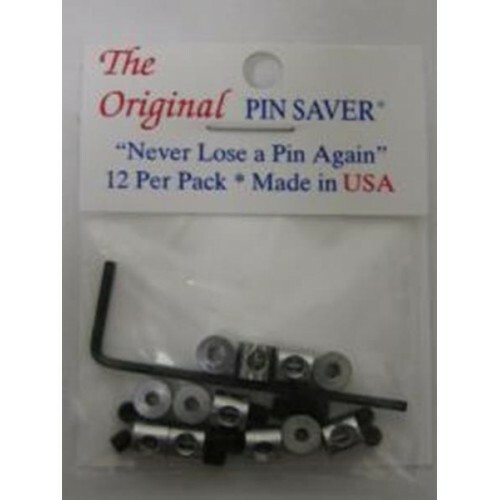 This is "The Original Pin Saver", produced in the United States, one of the most famous brands. Particularly suitable for motorcyclists, musicians and if the pin should be applied on skin or a very heavy cloth.